Whether you are starting out in business or have been at it for a while there are times when you need new ideas and strategies especially when it comes to marketing and growing your business. We are so fortunate in Perth to have some amazing women making their mark as entrepreneurs and the one common thread is that they are all passionate about helping others do the same. Now, marketing covers a broad range of areas and I have gathered together a diverse range of women so that you are sure to find someone that will suit your journey, goals and budget. "Social Media is just like a diet and exercise plan - when you find what works for you and consistently apply it you begin to see results. Do this over time and you'll continue to grow successfully!" 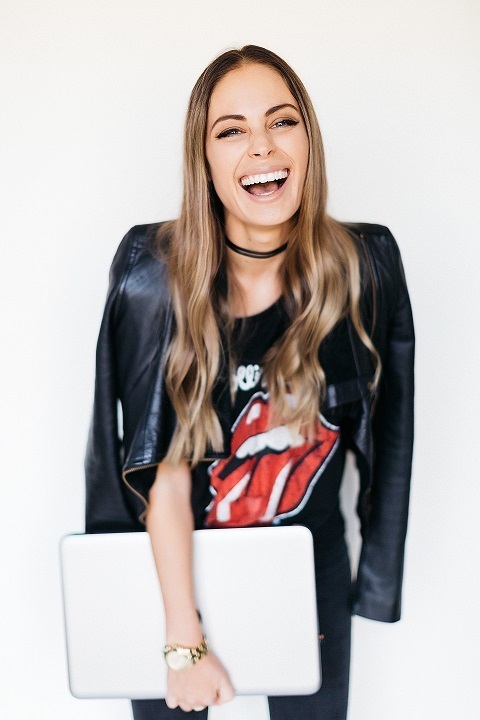 Brooke Vivoda's Social Media success didn't seem unusual to her, it was just the natural way she approached her marketing. When she realised that other businesses were struggling and not experiencing the same results it became apparent that her method was unique and needed to be shared. Originally an Event Management company, Brooke soon redirected Villa Management to address the frustrations of social media and started getting the same results she had achieved for other businesses. When you chat to Brooke or listen to her online her vibrant, bubbly personality immediately draws you in. You soon realise that her practical approach to social media is easy to both understand and implement. Brooke's focus is on achieving results for her clients and helping them grow their business and share their message. She does this through her program Social Media Connection - in person workshops and online membership. Instagram is Brooke's favourite social media platform but you will find her knowledgeable across a variety of platforms. It's not hard to see why her following is so big, she has a magnetic personality and practices what she preaches - using connection to grow a loyal tribe of followers. "I want every woman who is considering starting a business, is in early stages or beyond to know that every successful female entrepreneur started somewhere, it's a bumpy road but there is support out there." Megan is passionate about empowering and inspiring women. Experiencing gender discrimination herself she is an advocate for female entrepreneurs in WA. Watching successful and talented women go unacknowledged and fly under the radar made her committed to shine the spotlight on them. This is when Behind the Brands WA was launched. Unlike other websites which focus on networking and directories, Megan's focus is on equipping women with the tools for success and the knowledge to create a strong, impactful brand. With her own marketing consultancy that she created with a newborn baby in arms, Megan uses her 15 years of marketing experience and previous business knowledge as the marketing director of a digital agency to really make a difference for WA business women. When you read the stories on Behind the Brands, attend one of their regular workshops or chat to Megan, you can feel how much she values the contributions and talents of WA women and the importance of showcasing this to the world. Megan also sits on the board of 100 Women as the Marketing and Communications Chair - a philanthropic organisation committed to the empowerment of women. Megan believes when you invest in women the whole community wins and is a tireless campaigner for the empowerment of women and equality extending beyond the pay gap. "The media want our stories, they want to hear our thoughts, opinions and what we are doing in the world to make it a better place." Nicole is an Exposure Alchemist, through her business High Profit Media she helps entrepreneurs and business owners uncover and identify their story. She is an expert on understanding the media so that businesses can grow their profile, credibility and profits. When she created her first business FIFO Families she not only supported fly in, fly out couples and families but also oil/gas and mining companies with retention, safety and productivity. A big component of the business was Nicole using the media to achieve incredible results and reach her ideal customers right across the country. 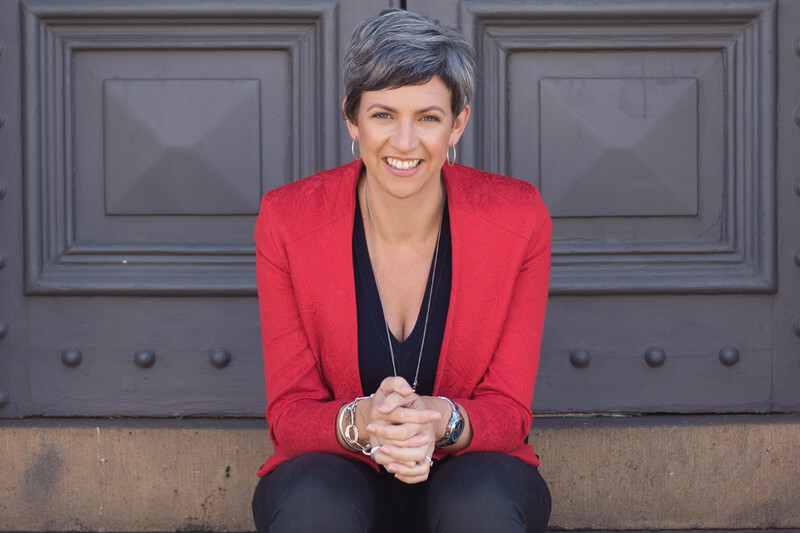 With some 400 media interviews (including The Project, The 7.30 Report, The Today Show, ABC, The Australian, The FIN, The West Australian, BBC and Scoop Magazine) and 5 years later Nicole realised that her talents with the media might be beneficial to other small businesses. It was then that High Profit Media was created, with a vision to sharing her knowledge and success. Using her business savvy, real life experience and qualifications in sociology and teaching, Nicole's greatest joy is seeing her client's success. She takes the time to understand her client's journey so they can use the media's power to assist them along their path. Nicole doesn't just tell you what to do but gives you a roadmap and sound understanding of how to plan your media exposure for now and the future. Nicole is the best example of how the media can support businesses with sharing their message and expanding their reach and is a proactive business woman who is consistently shouting out the talents of WA businesses. "By creating content designed to address the problems and needs of your ideal customers, you attract qualified prospects and build trust and credibility for your business." 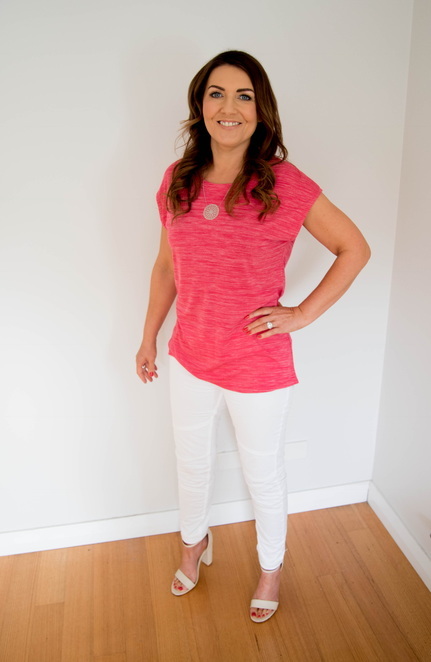 Originally from Dublin, Ireland, Vanessa runs 2 successful businesses in Perth both focused on improving the health and lifestyle of her clients. Her goal is to help as many people as possible live a long, happy and healthy life. As well as her personal training business, she supports businesses in the health, wellness, beauty, travel and finance industry with her marketing consultancy. Her area of expertise is taking business owners who feel stuck or overwhelmed and empowering them to take charge of their marketing by focusing on Inbound Marketing. Rather than trying to "make that sale", Vanessa teaches strategies and techniques to attract your ideal customer, by aligning your business offerings with how a customer wants to research and buy. Vanessa uses her 15 years of experience working with big names such as Coca-Cola, Nestle, Cadbury, GE and BP and brings this knowledge to small businesses in WA. When Vanessa was made redundant from her marketing role she ramped up her personal training business but she was always drawn back to her love of marketing. Vivacity Marketing was launched in 2017 and Vanessa knew that together these businesses would feed her passion for both Marketing and Wellness. As a successful business owner herself and alongside her extensive experience and impressive qualifications including a Marketing Degree, Vanessa provides options for businesses at all budgets. With a solution to suit every business from her information laden blog right up to individual consulting you can be assured that you will walk away from Yael with a much more comprehensive understanding of what your business needs to do to be competitive and how to achieve it without being overwhelmed. Growing your business can be a concern for lots of Perth small businesses but with one of these ladies by your side you can be assured that you are on your way to success.